Elegant necklace made of pearls. The necklace consists of two rows of pearls that run side by side. In stylish white, they look very elegant. 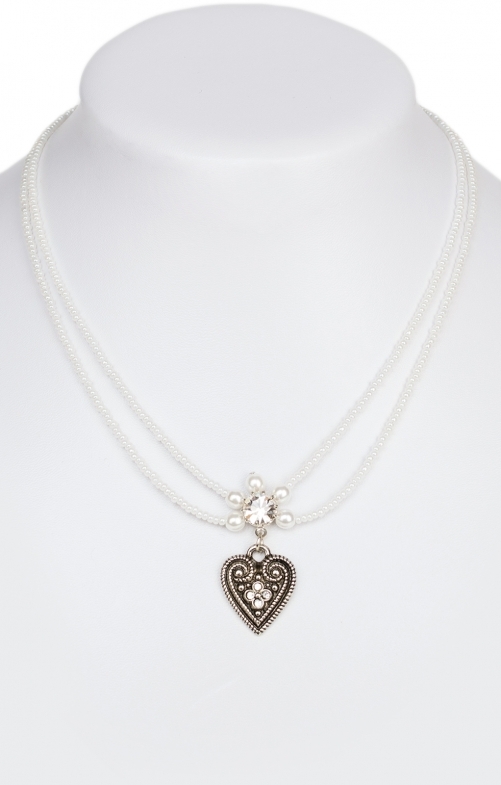 The necklace is 100% nickel-free and between 42 and 47 inches long - as the wearer likes it. In the middle of a heart with curved patterns and stones is attached, which provides for the additional visual highlight. Sehr schöne Kette. Eine Kettenverbindung hatte sich aufgebogen, hier müsste das Material etwas stabiler sein. Sehr schöne Kette, mal was anderes!